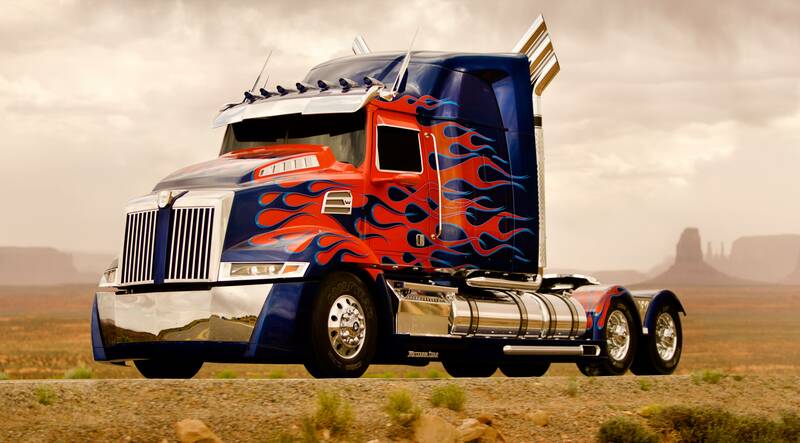 Uber's generally a fine way to get around if you can't bare the thought of another cab ride, but if you're in Phoenix or Los Angeles this week, Uber just got a whole lot better by partnering with mechanical movie star Optimus Prime, who's giving guest rides to patrons this week. The catch? You only get a 15 minute joyride, and it's not going to transform while you're there. Just open your Uber app, select "Autobots," set your location, and hope there's not a huge line of people waiting in line in front of you. Aaron Miller is the Rides editor for Supercompressor. He's currently wondering if the promoters are going to have Optimus Prime haul the rest of the movie equipment to LA, since, after all, it's a truck.